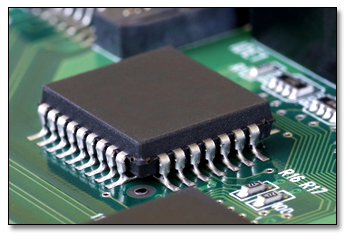 For more information about our Surface Mount Assembly Services click here to contact us. AMS Electronics Butler facility offers our customers flexibility with both Prototype PCB and Production requirements. At AMS we manufacturer all circuit board assemblies in accordance with two classes of the Acceptability of Electronic Assemblies (IPC-A-610). Our SMT placement lines can produce with RoHS compliant lead-free assemblies or we can use traditional tin-lead solder in the printed board assembly process. Our circuit boards are assembled with exceptional quality, utilizing the latest technology in SMT equipment. AMS’s automated SMT lines are capable of placing fine pitch packages such as 0201 components, ultra-fine pitch devices and BGA components. Our SMT surface mount assembly capabilities minimize handwork and allow us to assemble PCB’s in a fraction of the time required by previous methods. Faster throughput, precision placement, and lower labor costs add up to a big competitive advantage for our customers utilizing Surface mount assembly Technology. This along with our skilled and IPC trained workforce are keys to success in increasing customer satisfaction and exceeding quality expectations. What exactly is surface mount technology? Surface-mount assembly technology (SMT) is a method for producing electronic circuits in which the components are mounted or placed directly onto the surface of printed circuit boards (PCBs). An SMT component is usually smaller than its through-hole counterpart because it has either smaller leads or no leads at all. It may have short pins or leads of various styles, flat contacts, and a matrix of solder balls (BGAs), or terminations on the body of the component.